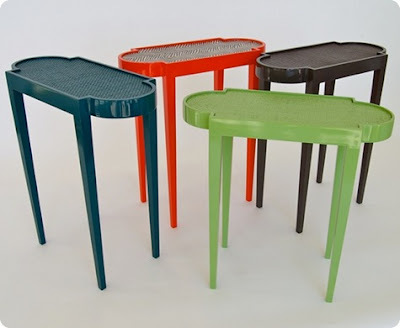 Gosh I love these "tini tables"! I just spotted them over at Design Sponge. 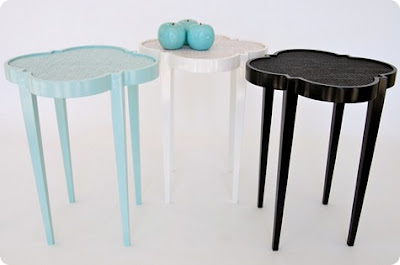 Good little side tables like these aren't always easy to find, I find. They are made by a company called oomph and they come in a few shapes and 15 colors. Fun Fun.